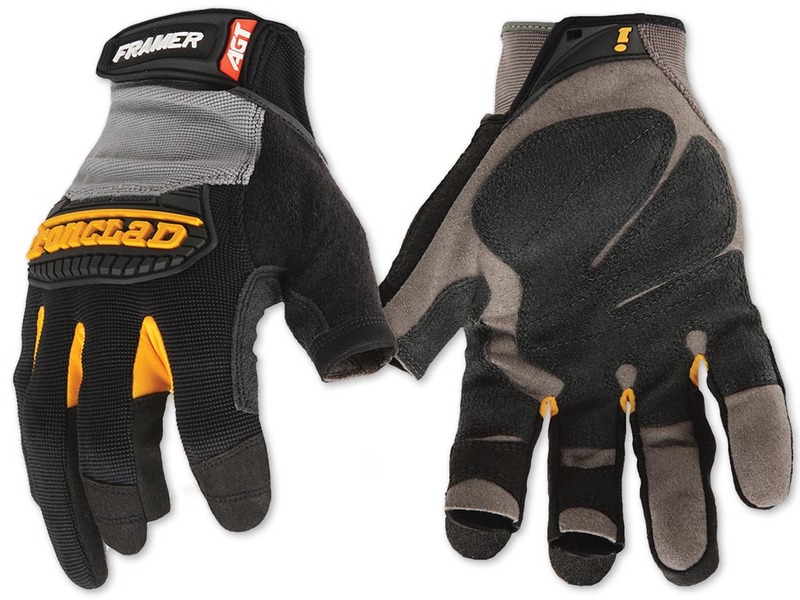 These are actually marketed to the construction industry and are called Framers - but they've got the exact same features that are important to farriers: the first two fingers and thumb are open for dexterity and sensitivity. They're reinforced and padded in areas that take the biggest beating. A velcro wrist closure for custom fit. There's even a clever (and thoughtful) but of absorbent towel sewn into the back of the thumb - so you can wipe sweat off your brow with the softest, cleanest part of your glove! These are 100% synthetic materials and they wash up amazingly well. No shrinking or stretching or stiffness. Just throw them in the washing machine and let them air dry. For the chart to work correctly, the distance between the thick red line and the size SMALL line needs to be 3 inches. If your computer monitor is not set to use the measuring chart, place your hand on a ruler and measure the width of your four fingers.